It was the pupils in the driving seat for the recent Cracking Ideas competition. After seeing competition advertised in First News the children’s newspaper kids from Beaumont Primary School, pestered their teacher to let the class enter the recent Cracking Ideas competition. It fitted perfectly with their course work, Victorians and inventions. Fast forward 3 months and we were at Beaumont Primary School to award their prize with Jim Parkyn, senior model maker at Aardman, for a fun filled Gromit making session. This year we want entrants to design a contraption to help Shaun the Sheep travel back from the city to Mossybottom farm to see Bitzer and his farmyard friends. 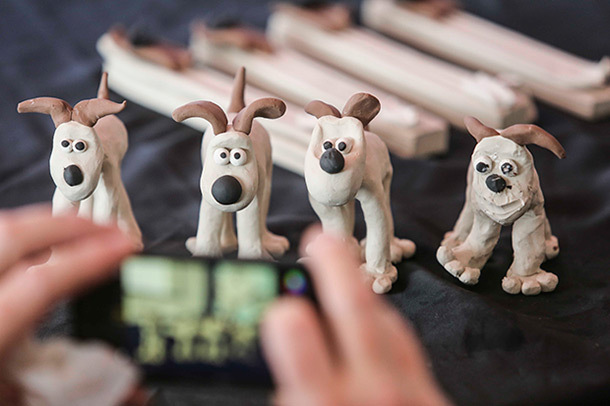 Do you know a school or group that would like to get involved and win the opportunity to win exciting prizes including an Aardman model-making session? Then take a look at Cracking Ideas website.